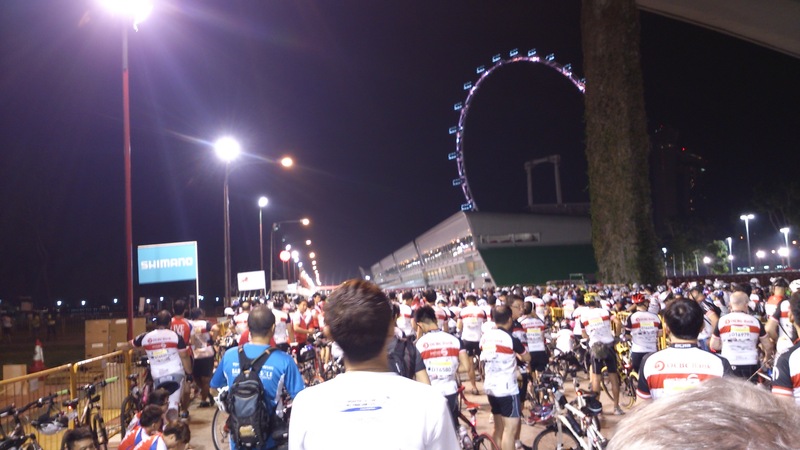 OCBC Cycle Singapore is a critical mass ride event held annually to promote cycling in Singapore. 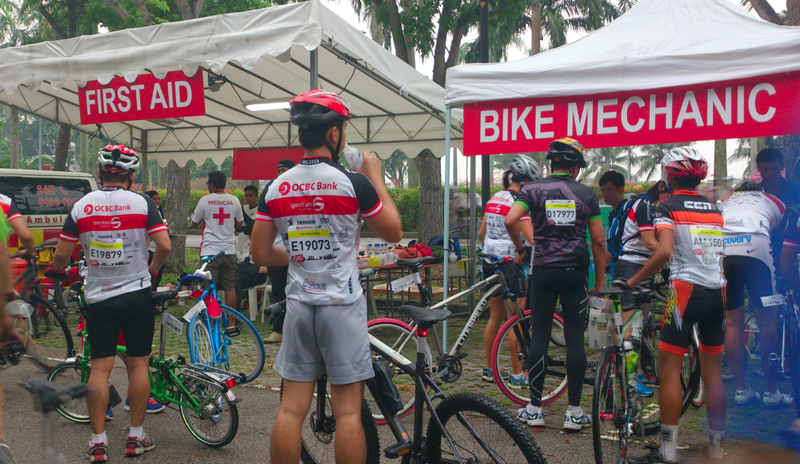 I checked the previously held OCBC Cycle Singapore, and according to few blogs, the experience was quite costly but fair enough for a well-planned critical mass ride. At the departure area, I found myself surprised with the weight of my baggage at Jetstar Check In area, it weighed fifteen (15) kilos only. 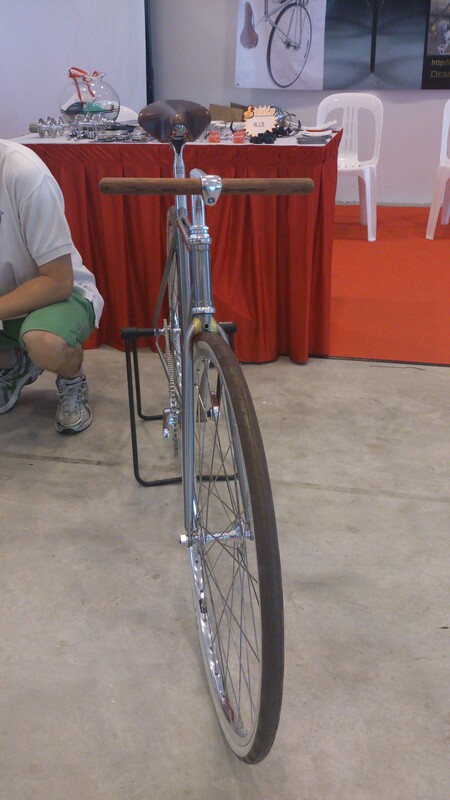 In detailed, my check-in baggage were of course my bike frame, wheels, bike accessories, clipless shoes, tools and helmet. 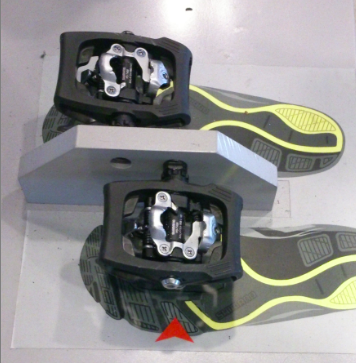 What made my bike bag light? I bought it two (2) years ago at Jersey Fits All. It weighed less than two (2) kilos, very light and handy. My few complaints during the trip were, it was not easy to transport and cannot compromise security to protect the bike from other luggage. International airlines sets limits on the volume of your baggage and strictly implementing secured wrapped baggage. Yes, its better to have one than to have none. Maybe on my next trip, I will try to look for a hard case bike bag. 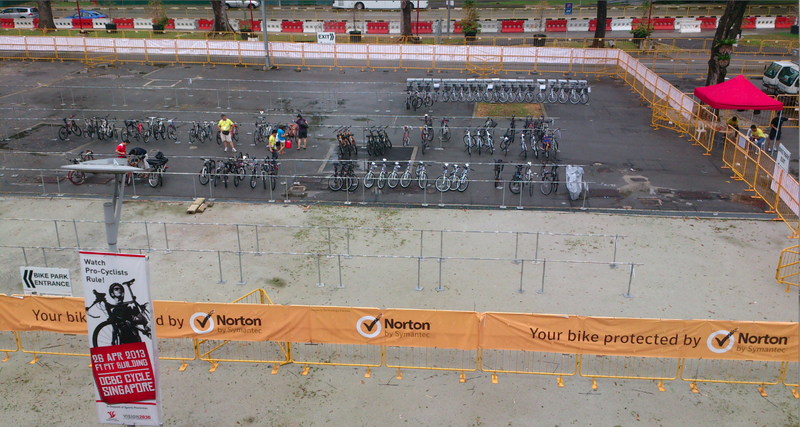 April 27, the weather was humid when we arrived 7am in Singapore, few minutes later, rain poured. 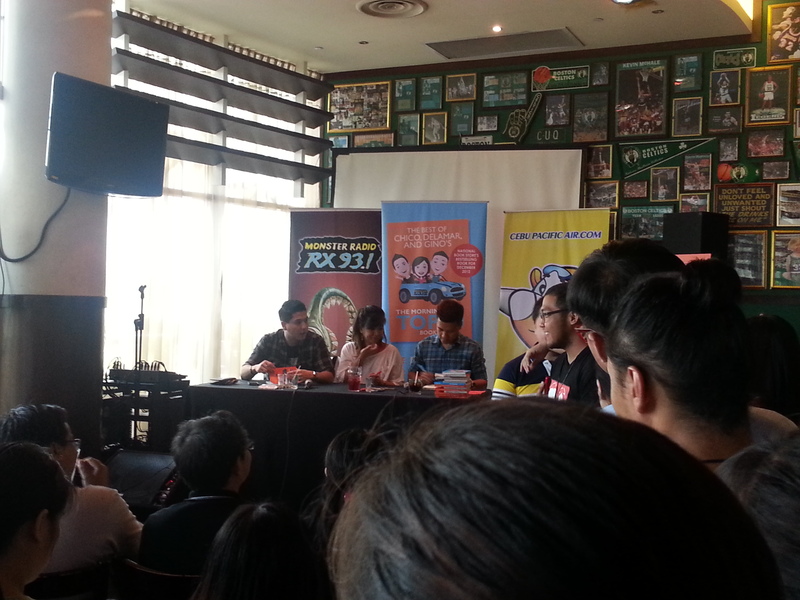 Hand carried our bags, we took MRT to Chinatown to unpack few things at Santa Grand Hotel. 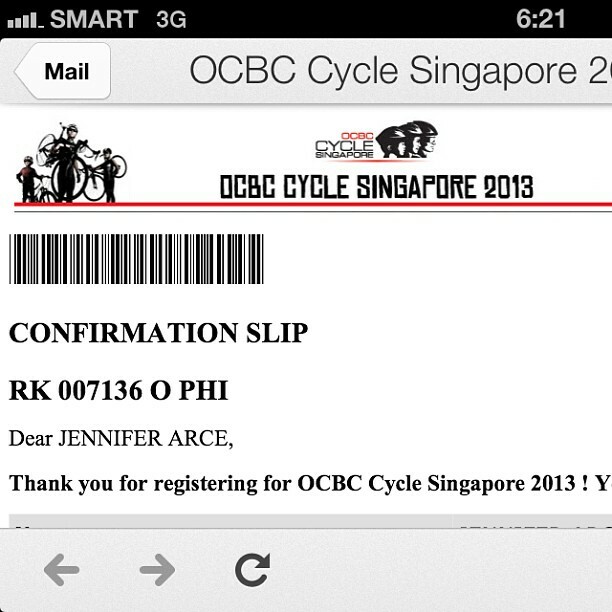 Took a cab then, proceed to F1 Pit Building to get our race kits. Approaching the race venue, I saw signages along minor and major roads about the roads scheduled closure on April 28. 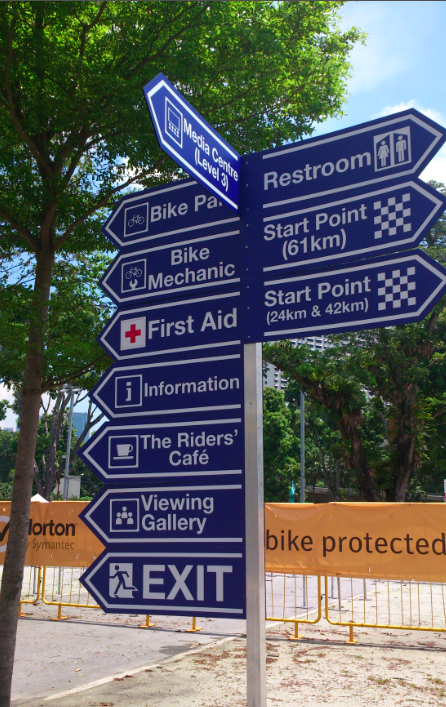 If I may recall, signages are sighted roughly every 5km to 8kms stretch. 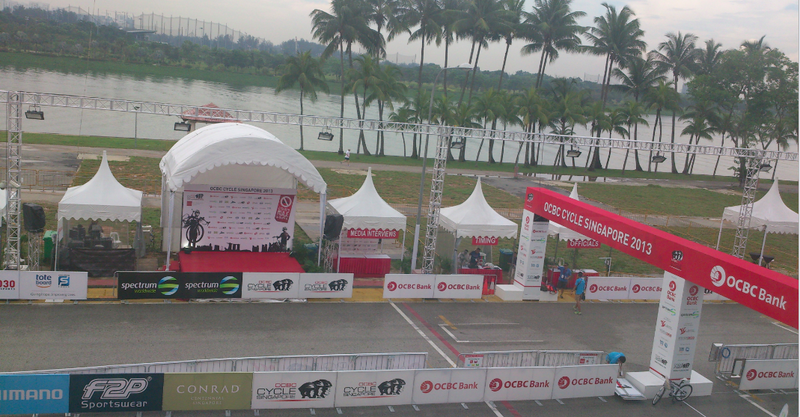 At the venue, a huge bike parking welcome us with secured entrance and exit for participants and spectators of OCBC Cycle. I was so tired, we left early as we have to unpack our things, assemble our bikes and dine with Diane back in Chinatown in the evening. 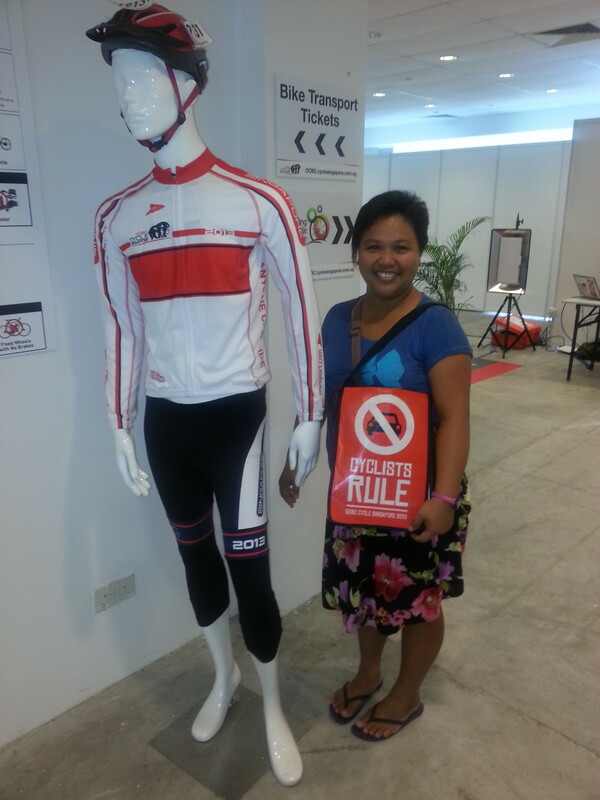 Dianne and her friend Blessie guided us from the hotel to the race venue. 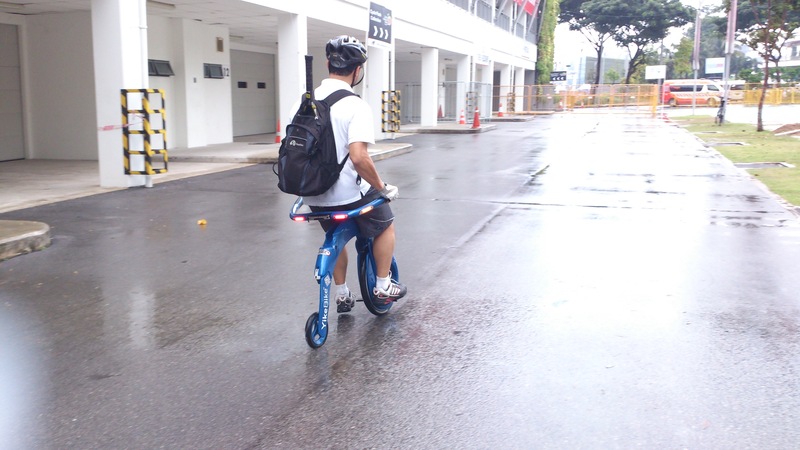 We biked few sidewalks because some roads going to Republic Blvd were closed. 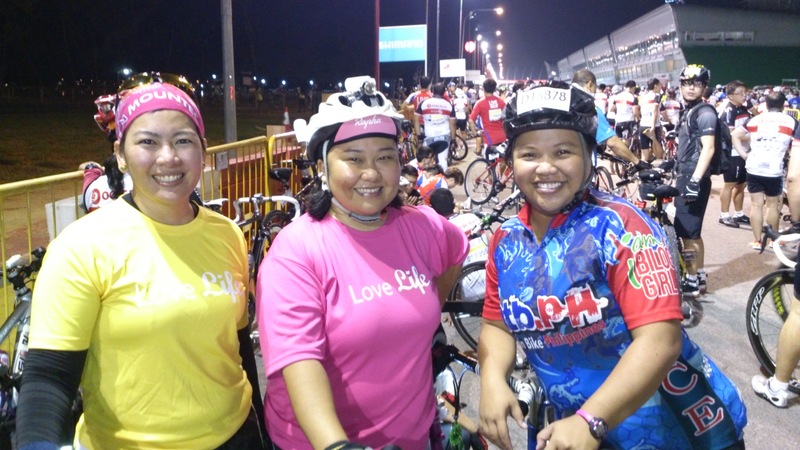 Me, Dianne and Blessie joined same category called “The Challenge”. Glad we were in the same crowd. 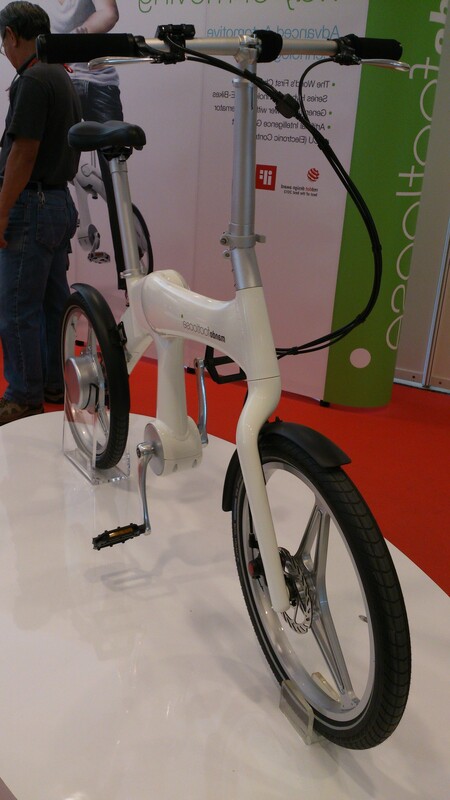 Bless and Dianne were carrying one of the most expensive folding bikes in the world… Bromptom Bikes. 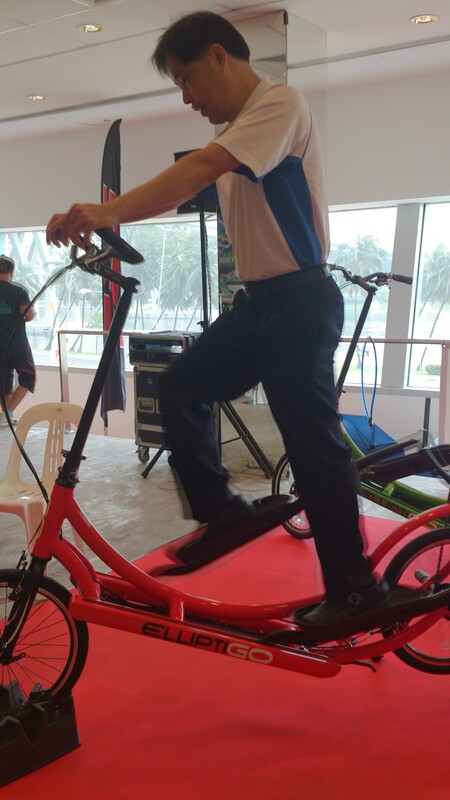 At the pitstop area, there were static bike mechanics to attend cyclists need and first aiders to attend the injured cyclists. 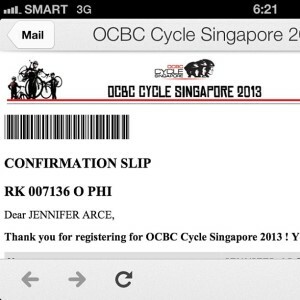 Here’s the official hydration of OCBC Cycle, 100 Plus and Ice Mountain. 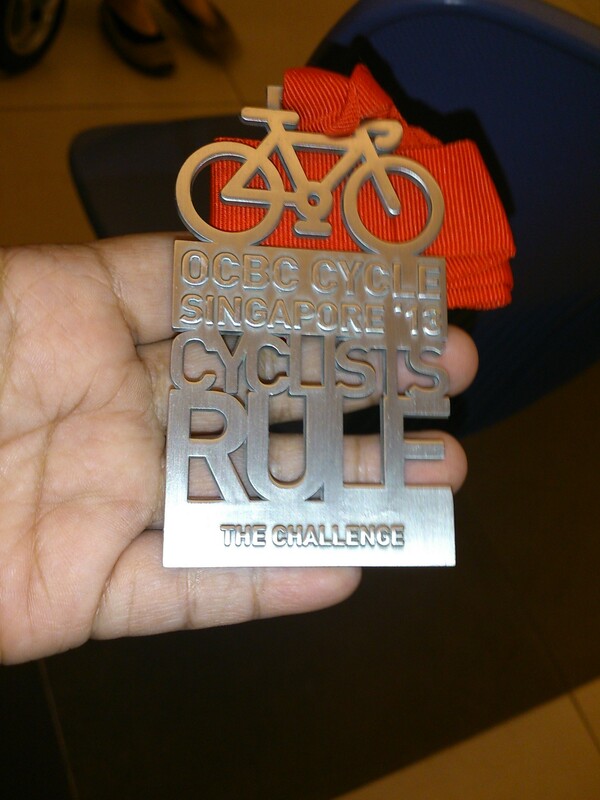 It was a fantastic experience at OCBC Cycle Singapore 2013 though no goody bags for us 🙂 but a beautiful medal. 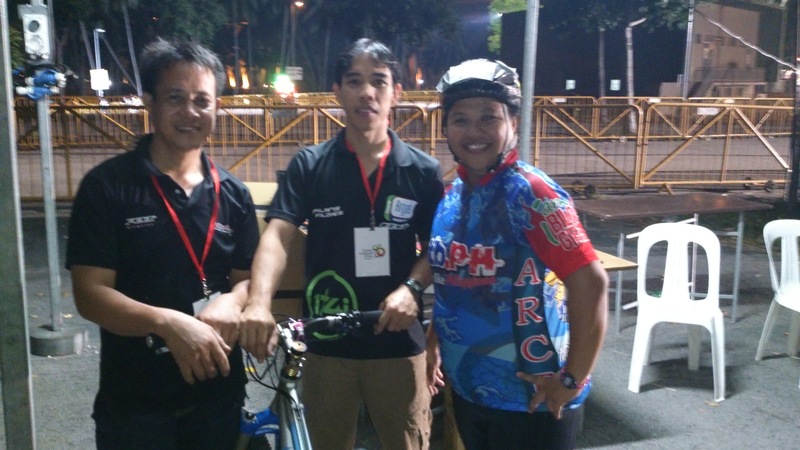 Before I forgot, I would like to thank these Pinoy bike mechanics based in SG who had aligned my shifting gears before the mass start.